VSO Blu-ray Converter Ultimate combines VSO's collection of Blu-ray converters into one ultimate package, offering users the ability to convert Blu-ray movies to DVD, AVI, as well as video formats (eg. MP4) that work on devices such as the iPad, iPhone, Xbox 360 and the Sony PS3. Supporting NVIDIA CUDA for accelerated processing, VSO Blu-ray Converter Ultimate also allows you to choose exactly which segments, or the entire disc, to convert. 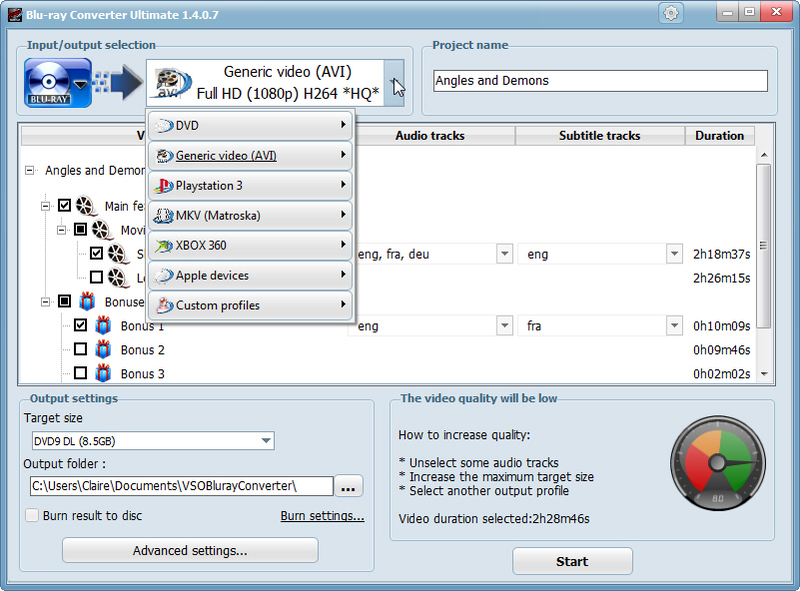 Subtitle support is also included, and you can select whether to output to SD or HD.